Springer will publish two prestigious mathematics journals from Vietnam, Acta Mathematica Vietnamica and the Vietnam Journal of Mathematics. Both journals, established publications in their field, will be available electronically on SpringerLink (link.springer.com) and in print. Acta Mathematica Vietnamica publishes original, high-level papers in pure and applied mathematics and contributes to the interaction and cooperation among mathematicians from Vietnam and other countries. It is co-published four times a year with the Institute of Mathematics, part of the Vietnam Academy of Science and Technology. The editor-in-chief is Nguyễn Tự Cường from the Institute of Mathematics in Hanoi. Acta Mathematica Vietnamica will be available at Springer as of Volume 38, Issue 1. Vietnam Journal of Mathematics is a quarterly peer-reviewed scientific journal, co-published with the Vietnam Academy of Science and Technology and the Vietnam Mathematical Society. It publishes original research papers and review articles in mathematics, focusing on applied mathematics. The editor-in-chief is Hoang Xuan Phu from the Institute of Mathematics in Hanoi. The Vietnam Journal of Mathematics starts publication at Springer with Volume 41, Issue 1. “The addition of these two journals to our Mathematics portfolio significantly enchances our journal offerings in the region”, said Harmen van Paradijs, Editorial Director at Springer Singapore. “These are two important journals from Vietnam and we are very pleased to be the publishing partner of choice for both of them. “Acta Mathematica Vietnamica (AMV) is a leading scientific periodical of Vietnam”, says Dr. Nguyễn Tự Cường, editor-in-chief of the journal. 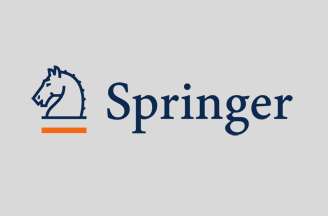 “Nevertheless, the collaboration with Springer has brought to AMV new perspectives. Through the worldwide distribution network of Springer, AMV can be widely accessed all over the world. This will make the journal more popular, more attractive to the international mathematical community and eventually improves the journal’s quality to be equal to the quality of leading mathematical journals in Asia, which is our ultimate aim”, he adds.